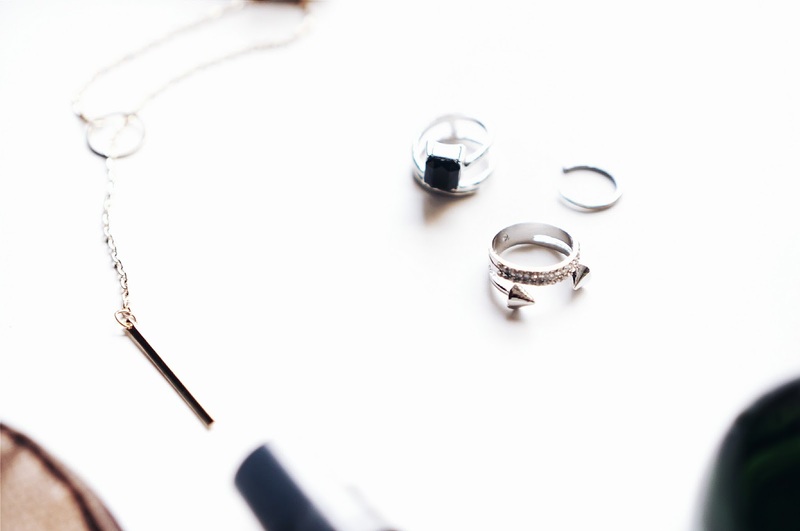 What's a better way to top off an outfit but with dainty beautiful jewelry. *Black Gemstone Rings: Edgy, geometric and stackable - Just right! Goes well with any outfits especially the edgy, greyscale tone. I preferably like to wear this with leather jacket, t-shirt and a pair of heels. -ps. when I received this product to review, the edges on the ring were a little scratchy; so I polished it and buffed it a little for a smoother edge and it's definitely beautiful but quality needs improvement. 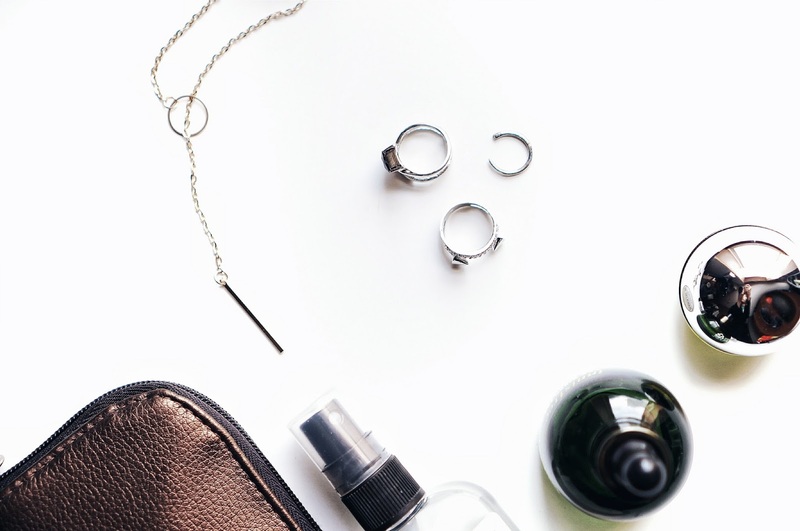 *Gold Bar Dainty Necklace: The perfect dainty minimal piece that matches with any outfit, either with a long v-neck tee or over a crew neck sweater. It such a simple way to add an elegant touch to an outfit. Using facial oils can be skeptical sometimes and a lot of people might think it's too much for the skin or it's going to clog all your pores. 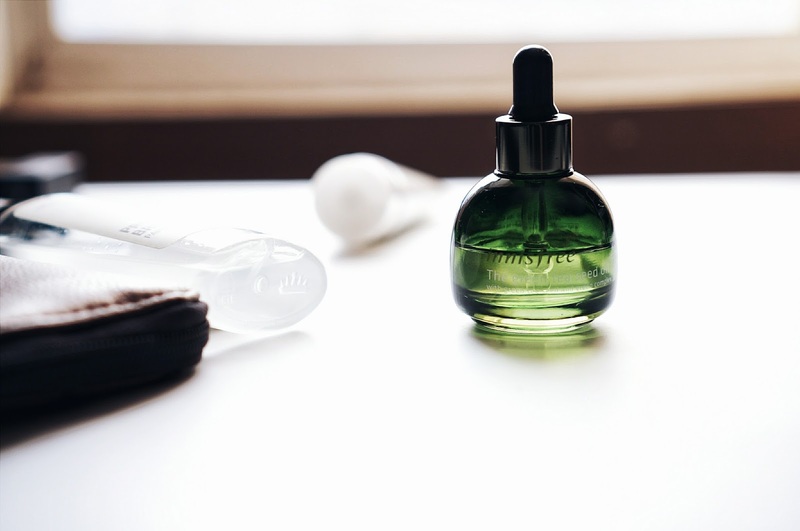 To be honest, it's true that facial oils can have that affect on the skin but it really depends which ones you buy and what the oil is enriched with. It's also very important to figure out what type of skin you have before you decide to use facial oils. First off, I have a very dry sensitive skin and can get mildly oily throughout the day around my t-zone. My theory on resolving dry skin or oily skin is that your skin just needs more hydration. For dry skin, I recommend using facial oils on the last step of your skincare routine every night. And for oily skin, I recommend using facial oils on the last step of your routine every skip a night. Now let's bring the spotlight to this Innisfree Green Tea Seed Oil. Innisfree is a well known brand from South Korea specifically from the Jeju Island, which is famous for it's organic and natural properties. This oil is enriched with anti-oxidants from the green tea leaves and seeds. It's also very hydrating, firming and leaves a beautiful dewy affect. I like to use this product every night with a couple drops on the palm, I lightly warm it up with my hands and I pat it all around my face avoiding the nose area. My overall impression of this product is that the skin feels amazing after; it feels perfectly nourished, balanced and I love the scent. With it's balancing properties, it works well with oily skin people too as it helps control the oil production. This oil doesn't feel too heavy and it won't clog the pores. My skin just loves this product so much that it drinks it right up. your experience with facial oil or a brand you would like to try. In my mind, I always had this theory that if there's a lot of scent in a product then it's no good for you. Obviously I'm not much of a "scent" kind a gal, always liked things that weren't too strong and benefited to the skin. This holiday I came across this Vanilla Candy Cane set from Rocky Mountain Soap and I'm surprised by how much I'm enjoying this skincare ritual. I definitely jumped on this train late and just realized they're from Canmore, Alberta. With that in mind, I finally figured out why they're products are so perfect for skin like mine; super dry - alberta weather! 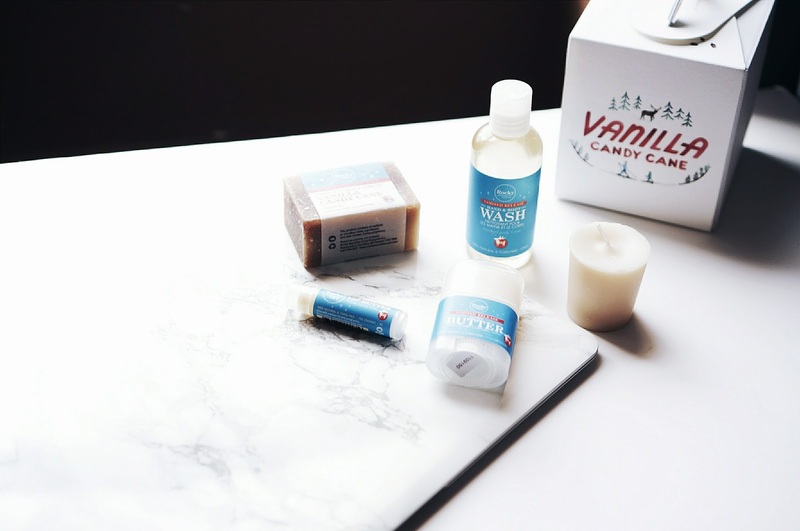 This set includes a body wash, bar soap, body butter, lip butter and a snowflake candle.